The new NFL season is right around the corner. It’s time to dust off your weekly fantasy football cheat sheets and strategy guides. If you’re new to fantasy football, or you just need a refresher course on what works and what doesn’t, you’re in the right place. Following are 21 do’s and don’ts that will help ensure your teams perform on the gridiron. We’re going to address issues related to effective lineup construction, positional analysis, and game selection. We’ll also talk about general strategy for winning fantasy football contests at top DFS sites like FanDuel and DraftKings. In upcoming articles, we’ll discuss these matters in much greater detail. For now, focus on learning – or brushing up on – these fundamentals. Join the best one week fantasy football sites this season at FanDuel and DraftKings. Both offer thousands of contests every week of the NFL season. Free contests to big money contests and everything in between. I hope to see you on the leaderboards! You’ll also find multipliers, qualifiers, and contests designed for beginners (you’re matched up against team owners that have the same level of experience). Learn the basics of how these game types work. Pay close attention to how the prize pool in each of them is distributed across the field. The distribution of the prize money influences how you should approach lineup construction. A lot of fantasy football fans get excited by GPPs. They see a massive prize pool guaranteed by the DFS site, and dream of winning a piece of it. Keep your expectations in check. GPPs are notoriously tough to win. Even if you do end up in the top 20% – i.e. a winning position for most GPPs – don’t expect to receive a huge payout. The biggest chucks of the prize pool are distributed to the folks who finish in the top 10 spots. The folks at the bottom of the payout scale earn less than twice their buy-ins. You’re going to need a stud in the QB slot. Your quarterback is the backbone of your squad. His performance will dictate whether you win or lose any given contest. You can’t afford to have a QB on your team who busts on the field. Plan to shell out a lot of money to pick up a solid quarterback. It’s usually a good investment. Despite their consistency (we’ll talk about consistency in a few moments), kickers don’t get much love in weekly fantasy football. In fact, a lot of DFS sites have gotten rid of the position. The exception is FanDuel, where you’re still required to draft a kicker. There, pick someone who has maintained an impressive ratio between field goals attempted and field goals made. Also, make sure he’s on a team that has an offensive advantage for that week’s game. You want your kicker to have a short field whenever he’s called upon to do his job. Don’t spend a lot of money on your kicker at FanDuel. Save the cash for your QB, running backs, and receivers. Get familiar with the scoring systems used at FanDuel and DraftKings. There are slight differences between them. Those differences should inform your draft decisions. Take offensive scoring as an example. Receptions at FanDuel earn you a half-point. Receptions at DraftKings earn you 1 full point. This discrepancy might influence your decisions regarding which receivers to put on your squads. Also at DraftKings, you’ll receive a 3-point bump if your QB passes 300+ yards. Not so at FanDuel; there, you get nothing for the same deed. If you’re building a team at DraftKings, you should favor QBs who rack up a lot of passing yards per game. You want a defense that can hold its own on the field. And of course, the more consistent they are at doing so, the better. But don’t spend a lot of money or time finding the perfect D-team. There aren’t a ton of points to mine in defense. Sure, you may also earn points for the occasional safety or blocked punt. But these events don’t happen very often. And keep in mind, you’ll only earn one point for each sack. That won’t put your lineup in a winning position. Pick a good defense that promises reasonable output that you can get for a low price. Again, save the majority of your cash for your QB, RBs, and WRs. Weekly fantasy football is a statistician’s dream. There’s no shortage of numbers to crunch to find opportunities ignored by other team owners. Every opportunity is a chance to gain an edge on your competition. Get acquainted with the numbers that will do the most for your lineups. For example, pay attention to red zone stats. Monitor opportunities at running back, wide receiver, and tight end. And analyze matchups by crunching defense vs. position (DvP) stats. It’s possible to spend hours each week crunching numbers. The problem is, not all numbers are important. Some will do little to give you an edge you’re able to exploit on game day. Think of fantasy football stats in the context of an 80/20 time management model. Track the 20% that will have 80% of the effect on your lineups. You’ll save time and wring most of the value from the numbers at your disposal. We’ll discuss the most important numbers in detail in the near future. Vegas oddsmakers post their lines long before kickoff. Their predictions concerning each game’s outcome are based on a ton of data. This means they’ve done much of the number-crunching for you. Unlike many of the fantasy football talking heads you’ll find giving out advice online, oddsmakers have skin in the game. Their livelihoods depend on the accuracy of their predictions. Take advantage of their work. 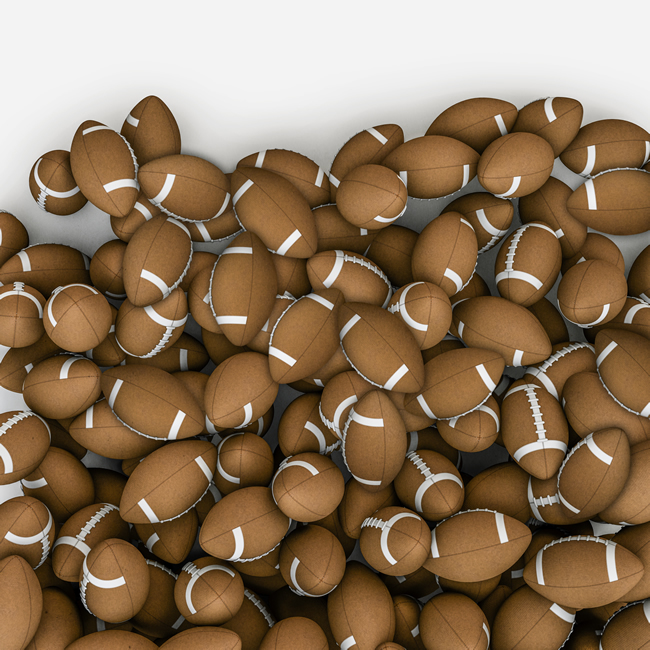 Injuries in the NFL are as common as junk food at a state fair. Drafting injured players is an obvious problem; if they can’t play, they can’t earn points for your lineup. That’s where the NFL injury report comes in handy. It lists who’s injured and whether his injuries will keep him on the sidelines. The last thing you want is to spend big on a QB who suffers a last-minute ACL tear that prevents him from taking the field. Check the injury report an hour before kickoff to make sure the players you drafted to your squad are expected to play. Pairing a QB with his favorite receiver gives you an opportunity to earn more points from a single play. For example, suppose your QB throws a 25-yard passing TD. You’ll earn four points for the TD and one point for the 25 yards. Not bad. Now suppose your QB threw the rock to one of your receivers. In addition to the five points you earned from your QB, you’ll also earn points for the reception, the receiving yards, and the receiving TD. That’s the effect of smart pairing in weekly fantasy football. Pairing a QB and WR raises the level of risk inherent in your lineup. But if your QB has a good day, his target receiver probably will, too. Why not earn points on both ends of the plays? Touches are opportunities. The more touches a running back gets, the more chances he’ll have to convert plays into points. In fact, if you look at seasonal data, you’ll find a strong correlation between the volume of touches and the average number of fantasy points scored by players per game. As you’d expect, the correlation is even stronger when it comes to red zone touches. Look at this number when drafting RBs for your lineup. Stacking can have a big impact on the production of your weekly fantasy football teams. If you stack the right offensive players, and they have a huge night against a terrible defense, you’ll accrue a boatload of points. It may even help you to dominate the field. Of course, if you stack players who bust, you can kiss your chances of winning goodbye. Stacking can make sense when there’s a soft defensive team on the schedule. This is especially true if you’re competing in a GPP, where you need a lot of upside in order to win. If you stumble upon a terrible D-team, take a look at the opposing team’s QB and target receivers. If they have solid track records with impressive fantasy production, consider adding them to your lineup. It’s worth pointing out that this strategy increases your risk along with your upside. But that’s par for the course in GPPs. This is where defense vs. position stats come in handy. Before you draft offensive players, check to see how the defensive teams those players will be facing stack up at various positions. For example, in 2015, the Jaguars’s defense did extremely well against the pass. They were less impressive against the run. Given that, drafting a QB who was more inclined to throw long passes than run the rock against the Jaguars would have been a questionable decision. The point is, don’t rely on player stats alone when putting together your squads. Look at team matchups. Weather conditions affect football less than baseball. (When was the last time you remember an NFL game being postponed due to rain or snow?) That said, the weather can affect how the game is played, which will affect how your lineup earns points. For example, during heavy rain, most QBs are less inclined to throw long passes and more inclined to run the ball. So if it’s going to rain on game night, it pays to have a QB who has a strong running game. Also, keep in mind that production at wide receiver is bound to be lower. When fantasy football fans think of player consistency, they usually do so in the context of playing in a season-long league. That’s for good reason. A player who can be counted on to produce week after week can be worth his weight in gold to a season-long team owner. That said, consistency is just as important in daily fantasy football. When you draft players, you need to know how reliable they are on the field. Do they have a level track record that shows consistent production? Or does their week-to-week production swing up and down like the track of a roller coaster. If you’re competing in a GPP, consistency isn’t that important since you’re essentially rolling the dice and hoping for a blowout performance. But if you’re competing in a cash game (head-to-heads, 50/50s, etc. ), it’s crucial. I mentioned above that different game types require different draft strategies. A lineup that crushes the field in a GPP cannot be counted on to do the same in a small 10-player league. Likewise, a lineup that does well in a 50/50 probably won’t do as well in a large-field tournament. We’ll cover various game-type draft strategies in upcoming articles. For now, realize that each type of contest warrants a slightly different approach. One of the worst things you can do in daily fantasy football is to jump into contests without having a sound bankroll management strategy in place. That’s doubly true if you’re just getting your feet wet. Bankroll management is what makes the difference between blowing through your cash and slowly increasing your stockpile. It’s what allows you to profit even if you lose a majority of the contests you enter. Come up with a reasonable strategy that takes into account your experience level and the amount you can afford to lose. Then, stick to it. As I noted above, GPPs are tough to win. The prize pool is (typically) distributed across the top 20% of the field, which means you have to beat most team owners to get a piece of it. Moreover, your piece will be small unless you manage to land in the top 10. Cash games are easier to win. In particular, 50/50s hold a lot of promise because the prize pool is distributed evenly across the top 50% of the field. You only have to beat half the team owners to win a payout. The money you’ll win in a cash game doesn’t begin to compare to the money you can win if you finish in the top 10 in a GPP. But your chances of winning are much greater. #20 – DON’T Forget To Have Fun! Weekly fantasy football can be frustrating, especially if your lineups keep losing. But if you learn basic strategies, crunch the important stats, and make sound draft decisions, you will improve your win/loss record. The important thing is to have fun. That’s the reason you’re playing fantasy football in the first place. Learn from your mistakes. Try new tactics. Take notes on what works and what doesn’t. And have a great time playing while you gain experience and improve your draft acumen. The biggest DFS sites are FanDuel and DraftKings. Both have tens of thousands of fans, many of whom participate in fantasy contests each and every day. The volume of betting activity at both sites, measured in the billions of dollars, should give you confidence they’re trustworthy and customer-friendly. Many daily fantasy sites offer exciting promotions to attract new customers. While some of these promos are tempting, none of these sites can boast the track records of FanDuel and DraftKings. If you’re not currently registered at both DFS sites, take a few moments to create and fund your accounts. You can get started for as little as $5 (the minimum deposit at DraftKings). 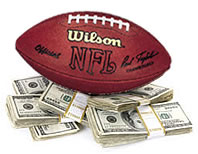 You’ll be ready to compete for real-money payouts when the new NFL season gets under way!